The 4th annual InterSangha meeting from August 9-11 offered an opportunity to experience the many benefits of having companions and guides on the spiritual path. Sixty-six leaders from 34 groups around the West met to discuss the development of their sanghas, share ideas and inspirations, and collectively serve as examples and reference points of Dharma practice. This newsletter includes a summary of some of what went on, with all the caveats that the direct experience is different from the conceptual description! We also continue with Gary Born's two-part series on the Insight Movement in Europe that began last issue, this time focusing on specific practice centers and groups. In addition, Eric Woudenberg, the engineer for Dharma Seed, shares some thoughts about the service that has archived and distributed Dharma talks for three decades. "The spirit of this practice is that we cannot do it by ourselves alone or for ourselves alone. We do it together." We are just getting started on the BIN website as an archive of resources for Insight groups, teachers, and practitioners. We are seeking a graphic designer and requirements manager to work with BIN on further development. Send email if interested. This year's InterSangha meeting, held at IMC from Aug 9-11, included rich content relevant for the growing and changing Insight Meditation Movement. The official conference material was organized around key themes ("tracks"), but of course much additional value came from the interactions between these sessions and from the backdrop against which the conference occurred. This article attempts to convey all of these dimensions, using language from participants themselves in many cases. The picture shows about two-thirds of the 66 participants, who represented 34 Insight sanghas. Several current areas of interest emerged from the meeting. The largest issue covers two interrelated areas: Mature practitioners and programs/opportunities for "deepening practice." Many sanghas have a group of more experienced students who are looking for additional ways to study and practice the Dharma, and to serve the sangha, teacher, and their communities. At this time, groups are looking for more resources to offer these practitioners. A second, and ongoing, area of interest is compassionate social action, as people look for ways to manifest their practice in the world. But this could equally emerge as service within one's own sangha -- as a board member, community leader, or dedicated volunteer. The final, and certainly never-ending, theme was that of community: What it means as our sanghas develop and change, how to extend it more broadly and deeply, and how to create it at the larger level of an organization like the Buddhist Insight Network (BIN). 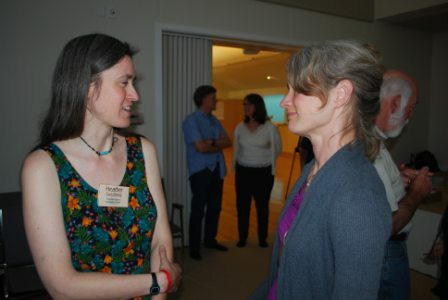 The meeting was offered freely and was made possible by much support from the IMC community, the InterSangha planning committee, and the BIN board. The IMC community housed 16 attendees, offering a chance to make spiritual friends across the country. Said one host of her guest from thousands of miles away, "He's one the family now!" Two lunches were provided by an IMC volunteer cooking team, giving nourishment for the discussions and community-building. Conference participants themselves washed dishes and cleaned the center. The work we are doing through BIN and InterSangha unfolds very well in such a field of generosity. 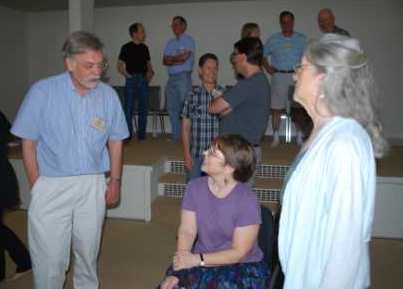 Kim Allen offered a presentation that showed the growth of the Insight Meditation Movement in the West since it first began some 40 years ago, as well as some visions for where Insight could go in the future. It is a time of connection and learning in the Insight community, as we discover the path we are walking together. For about 40 years, the Insight movement in the West has seen steady growth. We have moved from a handful of lay retreat teachers in the 1960s to about 138 in 2012. There were fewer than ten vipassana retreats in 1984, and now there are nearly 200 offered annually. 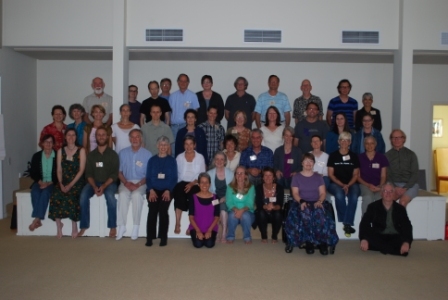 In the past dozen years, Spirit Rock has trained around 300 community Dharma leaders. With more and more community Insight meditation centers opening out of grassroots interest, the Dharma is reaching more broadly and deeply than ever before. The InterSangha meeting allows these people and groups to connect and start creating collective wisdom. The Insight movement grew from the teachers who started the first retreat centers – Jack Kornfield, Joseph Goldstein, Sharon Salzberg, Christina Feldman, Christopher Titmuss, and Ruth Denison – and now encompasses the Insight teachers trained by them or through other avenues, as well as the many community centers that share a spiritual link to the Insight teachings. It may be inspiring for each sangha to know that it is part of this larger picture, contributing to the ongoing cultivation of Insight in the West. The PowerPoint slides and audio recording of Kim's presentation are available here. One participant commented at the meeting, "I'm taking this PowerPoint presentation back to my group -- we don't think about the larger movement very often, and the context will be useful." "Keeping experienced practitioners engaged is not just about helping out. We also need programs for them to deepen other aspects of their practice"
"Issues around space -- outgrowing a space, permanent versus rental spaces"
"What does a cohesive community look like?" A new and experimental event at the meeting was a live video connection to London Insight Meditation sangha members. Three people from LIM offered perspectives on their group and its growth, and then all of us engaged in a discussion about "Deepening Practice," focusing on longer-term programs that are designed for more experienced students. The group collectively revealed many creative programs, both teacher- and peer-led, that delve more deeply into Buddhist texts, formal practice, or the wisdom of daily living. A significant number of the larger groups in the US have set up "mentoring" or other training programs so that more experienced students can learn to guide beginners. A special treat during this session came from the participation of Eric Woudenberg, the main engineer for Dharmaseed, who happened to be in Australia. He tuned into the video conference -- despite it being 2 am for him! -- hence allowing a simultaneous group meditation on three continents. Please also see Eric's article below on the history of Dharmaseed. The Dharma world that most attendees live in includes a sangha with one or more people in a teaching role. This track aimed to explore issues that can occur related to teachers and the sangha. One session focused on mutual support between teachers, mature students, and practice/service opportunities. As noted in a handout for the session, "In giving back, many of us have discovered that serving others matures our own practice. Many of us offer practical support to our Sanghas, support those teaching, or teach Dharma to others. In the process, we may find that serving in community challenges and deepens our understanding. As we receive these benefits, we grow, cultivate trust, and have more to offer others." The ensuing discussion highlighted ways that this mutual support is offered. For example, when sangha members ask for certain programs to be taught, they can also offer to do the administrative work to support it, allowing the teacher to focus on teaching. This is a specific example of the more general idea that creating a smoothly running sangha and facility is itself an act of service (form of dana) to a Dharma teacher. Other sessions focused on the issues particular to groups with a guiding teacher or those without. Both sessions confirmed the need for excellent communication, but this was especially so in the more complex groups with a guiding teacher, board, and many other volunteers. Interestingly, some of the juiciest territory occurred around the transition from one type of group to the other -- that is, around "succession planning" for a guiding-teacher group, or around attracting a teacher to a peer-led group. The succession planning topic was apt, given the recent death of Ginny Morgan and extended absence of Eugene Cash. "It is good to include this topic because it is just like our practice – we know that we often try to pretend that we aren’t dying. Similarly, a lot of groups pretend that their teacher cannot go away." In the Insight Movement at this time, there is significant interest in the issue of inclusivity and finding ways to offer the Dharma that resonate for different types of people. This track included a panel discussion that addressed issues around diversity, followed by breakout groups devoted to sharing practical tools for the creation or further development of diversity programs. The 4-person panel included a teacher of a Spanish Dharma program; two lesbians -- one from a large sangha with many affinity groups, and one from a new sangha that is already majority gay/lesbian; two white people on their own paths toward owning their racial identity; and a straight man who is making a personal shift from caring for women to being a feminist. Having trouble adding all that up? We all have multiple identities, and the task remains to heal and let go again and again. It was emphasized that from the perspective of people of color, it is important to hear the Dharma in familiar language and terminology. The teacher reported that one new Spanish Dharma student said, "When I hear the dharma in Spanish, I connect with emotions; when I hear it in English, I connect with reactions." The group also noted how important it is to have people of color in leadership positions and to have top-down support for diversity programs to be successful. Question: My partner and I have benefited from a dharma group for gay men (appreciating that “We're all one” is sometimes misguided). And at the same time, I have two concerns: 1) This seems to re-introduce and re-enforce the sense of self, and 2) forming these little enclaves does reinforce the separateness. How does this affect the affinity groups we've been discussing? To a certain degree we have to heal ourselves before we can let go of ourselves. We all need to do work -- including people of color -- but we all have different work. By doing our work we can open to a new level of vulnerability, and this allows for a field of insight. It is problematic to have people of color educating the white people, or LGBT educating the straight people. It is better to think of all this as a process. 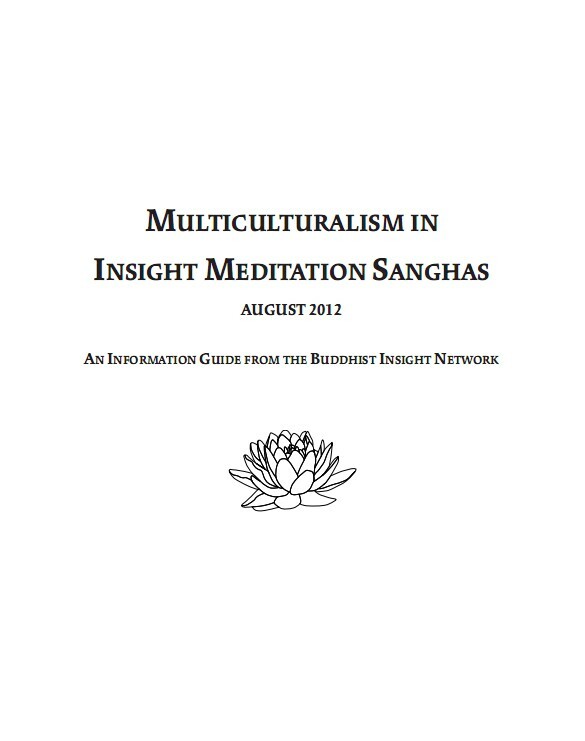 BIN offered an informational resource describing the current diversity programs in Insight sanghas that are specifically related to race and ethnicity: Multiculturalism in Insight Meditation Sanghas. "Consider having 3 phases of a volunteer position: 1. Shadowing 2. Fulfilling the job 3. Mentor their replacement." "Create job descriptions (time commitments and written checklists-even photos!)" "Be aware of the gift of the person and the nature of the task (is it a good fit?)" "Create a buddy system so volunteers are not working in isolation"
"Teacher could do a 1-day retreat for volunteers. (Volunteers with 6 months or more service)"
The Decision-Making and Governance session consisted of a panel of people from groups with a variety of governance models -- a large, highly structured organization; a network of looser groups covered by a single guiding teacher; a union of several independently-run-but-related groups; and a highly unified group that has grown organically for a couple decades. The lesson was again that communication -- early and often -- is critical, as well as a long-term perspective that can ride the ups and downs natural to any group effort. But particular to our Dharma context, there was an emphasis on the importance of bringing practice to the governance process, so that our organizations are consistent models of the teachings we offer. This track had two sessions -- one on Insight Meditation and Secular Mindfulness, and one on Socially Engaged Buddhism. The former began with the idea: "Many of us choose or feel called to teach in situations where a Buddhist, or even a spiritual, association may not be appropriate. And yet, we are offering mindfulness teachings to help people see their lives in new ways. 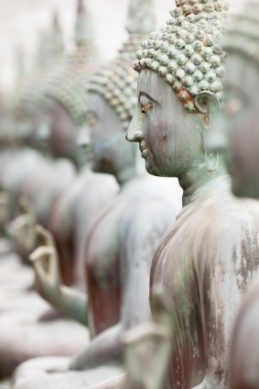 How do we hold these situations from the perspective of Buddhist Insight Meditation practice?" The discussion ranged into the scientific studies that have shown great benefits of mindfulness practice. A handout was offered for the new Mindfulness Allies Project that seeks to bring mindfulness to underserved communities. The social engagement session touched on the many dimensions of this issue at quite a deep level. From the perspective of our own practice, one attendeed commented, "Practice is about engaging everything, which includes seeing the parts of society we tend to push away (the shadow -- such as prisoners). We turn to look at the suffering and the people that are there, and if we're not willing to look at that, we’re not including everything. This is practice in action." Another comment asked what it might mean for the "truth of the Dharma to bend back upon the world" (a quote by Bhikkhu Bodhi). One response was that we can think of bending a stick backwards, as has happened through harm done in the world. "If the stick has been bent back, then it needs to be 'overbent' forward to correct this. That means that if you’re not getting yourself into a place that pushes you just a little out of your comfort zone, you won't be allowing yourself to grow." It was also acknowledged that Insight centers are places of refuge -- places where people want to come to be free of the burden of politics, social roles, and identities; it is good to keep our sanghas as refuges too. A continuation of the Decision-Making and Governance topic. This proved extremely helpful because the first session was just enough to warm up at a top level, while this one could delve into specific tools. The group discussed RACI (Responsible, Accountable, Consulted, Informed), "right emailing," and ways to keep an online archive of administrative information. How to handle and support mentally-ill sangha members. One Earth Sangha -- a way for environmentally-concerned practitioners to connect and to consider how this type of action is itself a form of Dharma practice. A process for discovering one's "Core Gift," which can then be used to offer service to one's sangha or community. Participants in this session received training in how to identify another person's gift. For people in leadership positions, this is a valuable tool to help them match volunteers to needed tasks. "We are looking at the transition from Sangha to MahaSangha. A diversity of communities coming together." "Unlike other workshops or meetings, where I feel a lot of stirred up excitement, I don't feel that here. I feel something deeper -- the steady resolve. I'm also inspired by the years of practice in this room." "I have a sense of profound appreciation and respect for the perspectives in this room, and for the possibilities of sharing knowledge and best practices the network can offer. I also feel a gathering sense of trust that we are discovering in shaping a larger container, informed by the wisdom and years of practice here." "When I first came here, I was noticing my judgments about people in the room, even then knowing by the end of this I would be in love with each one of you. And it's what happened -- my judgments dissolved into appreciation for each person and each perspective here." "I appreciate the opportunity to be among Dharma community without the responsibility of the teaching role. Being here allows me to fulfill multiple sides of my own interests -- including the community side -- and be vulnerable and open in a beautiful and helpful way." One participant expressed the sentiment that it would be interesting to have a BIN retreat, including periods of talking and silence. What a timely expression -- the next InterSangha meeting is scheduled to be held at the Insight Retreat Center in Scotts Valley. Mark your calendar for Aug 22-25, 2013. A beautiful gathering. A deepening of Sangha. A new expression of the developing Insight Meditation Movement in the West. 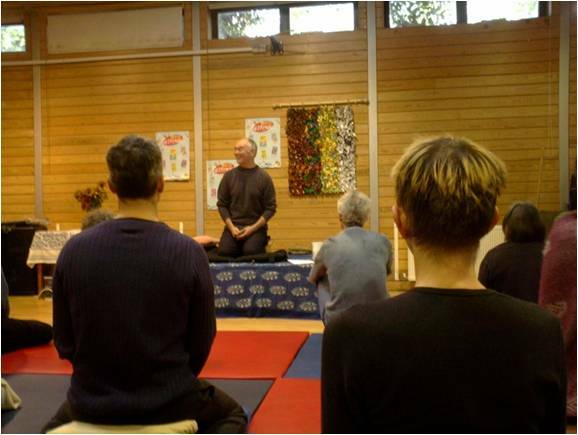 This is the second part of an article on the Insight Meditation Movement in Europe. The first part, from the Summer 2012 issue of the BIN newsletter, provided a summary of the Insight Movement as it has evolved in Europe over five decades. This covered the main meditation centres and some monasteries, along with trends such as secular mindfulness, social engagement, and secular Buddhism. Here I delve into the various Insight groups in Europe, although not in great detail due to space limitations. It was not possible to cover every single group offering Insight teachings, and therefore I apologise for the inevitable omissions. Many Insight teachers provided guidance and information, particularly Fred von Allmen, who offered detailed assistance. Other teachers, including Akincano Marc Weber, Yanai Postelnik, Martin Aylward, Stephen Batchelor, and Chris Cullen, also provided information and suggestions. Thanks to all. It is worth noting how many of the main Insight Centres in Europe are residential. This highlights that very few non-residential groups have their own dedicated space, as is the case for about a dozen groups in the US. In the Netherlands, De Stichting Inzichts Meditatie (Foundation for Insight Meditation) was founded in 1998 and aims to promote the practice of Insight meditation. In the 2012 programme, the Foundation will have a large number of prominent Insight teachers. The Buddhavihara Temple is a large Mahasi vipassana organization with a number of city centers. Sangha Metta Buddhavihara teaches Vipassana in the tradition of U Ba Khin. In Belgium, Instituut voor Aandacht en Mindfulness (the Institute for Attention and Mindfulness) focuses on mindfulness-based approaches, with some visiting Insight teachers. The Dhamma Group in Brussels offers Vipassana/Insight meditation. In Paris, Terre d'Eveil (The Ground of Awakening) describes itself as an “unaffiliated” Buddhist Group, but Martin Aylward notes that “it also can be accurately described as affiliated to the network of European Insight centres and to the Insight Meditation tradition." It focuses on the Theravada school and texts of the Pali Canon. Martin, himself an experienced Insight Teacher who often also teaches in the UK and the US, runs a large residential meditation centre in the Dordogne – Moulin de Chaves (pictured). The major residential meditation centres providing Insight teachings in these three countries are (in Germany) Haus der Stille, founded in 1960, Waldhaus am Laachersee, Seminarhaus Engl (pictured; with U Indaka) and (in Switzerland) Meditation Center Beatenberg, with Fred von Allmen as its founder and best-known teacher. Charles Genoud and Patricia Genoud-Feldman founded and run Vimalakirti in Geneva (pictured), which is a meditation centre focusing on vipassana, with some other practices. Germany has a long-standing Buddhist tradition with such prominent names as Nyanatiloka and Nyanaponika Mahatheras. There are many "Buddhist Societies" in German cities, some of which also invite Insight meditation teachers to give retreats. Switzerland also has numerous Insight groups, including those based in Geneva, Zurich, Bern, Basel, and Lucerne. Austria is the only Continental European country where Buddhism is officially recognized as a "church" – in 1983 – and this seems to allow for access to state TV channels and all kinds of rights in public education, etc. The Buddhistisches Zentrum Scheibbs was founded in 1975. There are many groups and teachers in Austrian cities. Tovana (“Insight”) was founded in the early 90s by Stephen Fulder, an Englishman and Israeli. He became the first Israeli to teach Insight meditation. Then as now, many Insight teachers visit Israel to teach, joining a number of Israeli teachers. AMECO (Association of Mindfulness Meditation) in Rome was founded in 1980 by Corrado Pensa, a student of Ajahn Mahaboowa and the early IMS teachers, and himself a visiting teacher at IMS. 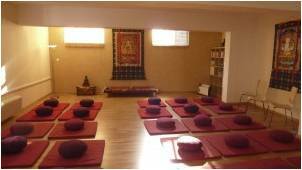 He and other teachers offer Insight meditation retreats regularly. Following from the foundation of AMECO, several Insight groups have started in various Italian cities. The Swedish Vipassana Group (Vipassanagruppen) has been teaching Insight meditation for many years. It is a nonprofit organisation and arranges regular sittings, seminars, and retreats.In Finland, the Nirodha is a Theravada Buddhist organization based in Helsinki. It organises weekly sittings, practice days, silent meditation retreats, courses, and study groups. The group practises vipassana (insight), samatha (concentration), and brahmavihara meditation. In the UK, the major residential centre for Insight meditation is Gaia House, founded by Christina Feldman and Christopher Titmuss in 1983. All of the Insight Centres and Groups in the UK have links to Gaia House, and most of the teaching is provided by teachers associated with Gaia House. Gaia House teachers who are not resident in the UK often visit one of these groups when travelling to or from GH. 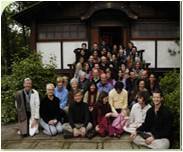 The largest Insight Group in the UK is London Insight, which supports a large programme of one- and two-day retreats by Insight teachers, as well as courses, dialogues, and special events (the picture shows John Peacock teaching there several years ago). London Insight also has an extensive network of sitting and inquiry groups. There are many other groups all over the UK, including, Brighton, Bristol, Cambridge, Oxford, Milton Keynes, and Sheffield. Ireland has a significant interest in mindfulness-based approaches, and this is complemented by an interest in Insight Meditation. The Dublin Insight Meditation Group was founded more than 25 years ago, and meets weekly. Finally, there are also a number of residential Mahasi Centres, including Satipanya Retreat Centre, founded by Bhante Bodhidhamma in Wales. Also, the Goenka vipassana meditation tradition has about a dozen centers in Europe, offering residential retreats in rented facilities. Dharma Seed started off in the basement of the Insight Meditation Society in the early 1980's as a side-project of a staff member named Bill Hamilton. Bill was deeply devoted to the value of preserving and sharing the teachings. He volunteered time and caring energy to recording the dharma talks given in the meditation hall, making copies for retreatants, and maintaining the budding library. Dharma Seed was carried along in those early years by the care and attention of several other dedicated individuals, including Jo Palombo, Carol Wilson, Susan & David Munro, Barbara Peterson and Judy Phillips. In 1988 Judy became its director and ran the organization from her house until 2007, employing several people and providing catalogs and thousands of tapes a year to practitioners worldwide – at not much over cost. Most years were pretty tight! In 2001 Judy and the board transitioned Dharma Seed to a completely dana-based operation. It was a courageous step given all the lean times we had been through, but it felt consistent with the teachings we endeavored to provide. I joined the Dharma Seed board in 2002, getting to know Judy after offering some Minidisc units to replace the cassette recorders at IMS. In 2006 Judy let us know that she would be retiring soon, and the board began to form a succession plan. After some soul-searching we decided to restructure Dharma Seed as a web-based entity with little physical infrastructure. Nancee Bershof, a retired physician and long-time dharma practitioner who had been Judy's main volunteer, generously offered to take on oversight of the few operational tasks that remained, as well as acting as Chair of the Board. I began work on the new Dharma Seed website in early 2007. The visual layout was based on a graphic design that Gale Kremer generously mocked up for us. The back-end was created using the Django/Python web framework, whose expressive power allowed us to complete the work and go online in June of that year. Since then dharmaseed.org has grown steadily. Today we stream about 4,500 talks a day to people in about 100 different countries. Our archive contains around 17,000 talks by 350 teachers that were given at about 90 different locations around the world. The mainstays of the archive are talks from Insight Meditation Society, Spirit Rock, Gaia House, Insight Community of Washington DC, Cittaviveka, and Insight Community of Berkeley, although many other centers regularly contribute talks. If a teacher has led a retreat at IMS, Spirit Rock, Gaia House or Beatenberg then we will publish the teacher's talks no matter where they give them. If one of those teachers has a center, Dharma Seed provides a so-called “venue view” where the center can publish all their teachers, talks and retreats. For example, http://sr.dharmaseed.org is the venue-view for Spirit Rock. Talks posted to a center’s venue-view also appear on the main Dharma Seed website if the teacher giving the talk has led a retreat at one of those four centers. The Dharma Seed database takes care of maintaining this distinction. The day-to-day operation of the website is more or less automatic, with helpful legwork still being done at dharma centers where talks must be uploaded manually to the website. Fortunately, the need for manual uploading is becoming less common; IMS, CIMC and NYIMC have Internet-connected recorders that transfer their recordings directly to the Dharma Seed website. All that is needed afterward is to set the teacher and title. As talks are added, a background process automatically adjusts their volume to a standard level and removes leading or trailing silence. 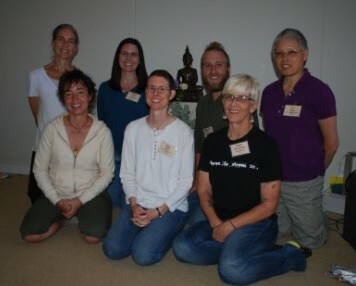 Dharma Seed’s all-volunteer board has ten members. We're all dharma practitioners and serve in a range of other ways outside of Dharma Seed as well, some teaching, some administrating, and all putting time in on the cushion. We are: Sky Dawson, Chas DiCapua, Nancee Bershof, Ellen Kaufman, Eric McCord, Chris Talbott, Judy Phillips, Dennis Holmes, Paul Coombs and myself. We meet at the Barre Center for Buddhist Studies three times a year to provide long-term guidance for the organization. Since changing to a dana-only structure in 2001 for funding, and a web-only structure in 2007 for operations, we have had the good fortune as an organization to make ends meet. This has been made possible only by the generosity of volunteers, centers, donors, and most importantly the teachers. This generosity has allowed us to continue our mission to preserve and distribute “the spoken teachings of Theravada Buddhism in modern languages.” May our mission and our actions be worthy of support into the future as well. And as much as I love to work at this “side-project,” I do remind myself that Dharma Seed is simply one part of a greater vehicle. It is first and foremost the wisdom of the teachers and the teachings that makes Dharma Seed the resource that it is. And vital as well are the centers that provide the rarefied space where these teachings occur. But even so, Dharma Seed would be nothing without the thousands of people that make use of it every day. So it is this constellation of conditions that make Dharma Seed what it is, and I am grateful to be a part of it.